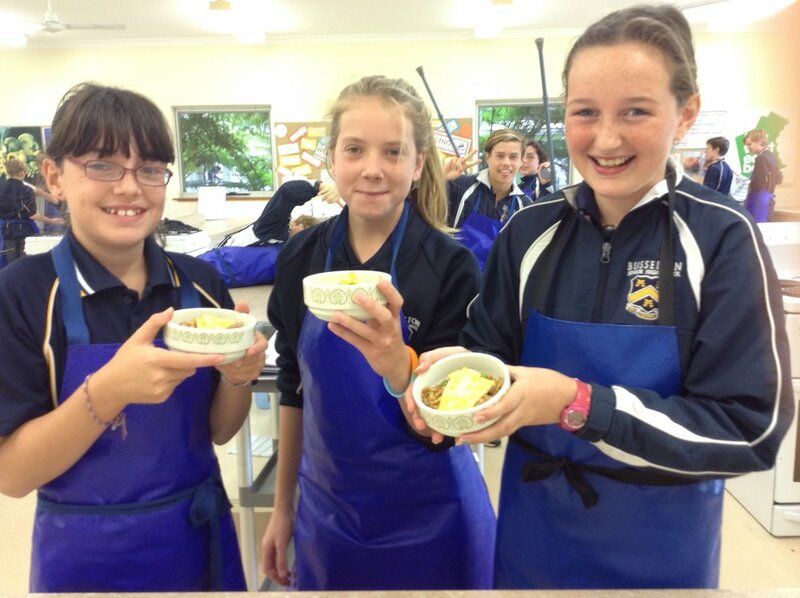 Home Economics is part of The 'Technologies' course in the current Western Australian Curriculum. In this subject, we're focused on using materials for developing processes and production skills. Our materials are a combination of foods and fibres, and we use these to develop cooking and textile projects with our students'. Within Busselton Senior High School, we offer a range of Food Technology classes for Lower School (Years 7-10), as well as a Cafe' and International Foods Studies course in Year 10 which incorporates barista training and service. Also in lower school, we also offer a Fashion Textiles course in both Year's 9 and 10. These classes are also practical based, and involve the development of a range of different skills associated with textile production. For our senior students' at Busselton Senior High School we offer a fully accredited Certificate II in Kitchen Operations. Completed over two years, the course provides the education and training required for certification and trade competency in the field of Hospitality. Also, senior students' are offered a Food Science and Technology course that focuses on food processing and nutrition. Students are introduce to the study of nutrition, basic commodities and their contribution to health and skills in basic food preparation. This is a taster course to ignite their passion for food. The focus for this unit is to allow students to further enhance their knowledge in nutritional value of foods, looking at the Healthy Eating Pyramid. They will also have the opportunity to explore cooking methods and improve their kitchen skills. Students will continue to build on their food preparation skills and will understand how time has affected our food supply; past, present and the future. They will continue to develop knowledge of nutrition and independence in food preparation skills and will be required to work individually as well as part of a team. Students in this class will be further developing their textile skills with a range of different projects. With a focus on sustainable fashion, students will be creating a Boomerang Bag designed to promote shopping without using plastic bags. Further, the students will design and create their own pencil case and make-up bags. The focus of this course is on Café fare, barista and gourmet foods suitable for café service and the study of other cultures and International dishes. Emphasis is placed on both individual and working within small groups to produce a range of foods. Students will also complete tasks within strict time constraints, which are both requirements for future work in the food industry. Students in this class will be focusing on textile processes and production with a range of different practical projects. Beginning with a drawstring accessory bag, students will then get crafty with a rosette design production task. Further to this, students will try their hand at screen-printing when we design T-Shirts using fabric paint to screen our designs onto. Sustainability will be another focus in the area when we up-cycle a piece of existing clothing and turn it into a completely new product. If you're interested in a future in Hospitality, or even interested in being provided the skills that will guarantee employment all over the world if you plan to travel, our Certificate II in Kitchen Operations could be for you. With a world class training facility, which includes a fully equipped industrial cafe and kitchen for our students, this course provides the education and workplace training to provide you with the industry grade skills that are required of the Hospitality industry today. Completed over two years, this course includes certified barista training, Occupational Health and Safety certification, cookery methods training, food presentation development, and work placement. With the only fully equipped Industrial Cafe training facility for High School students in the Busselton shire, this course provides students with the best opportunity's to develop their training for a future in Hospitality. In this course, students develop their interest and skills through the design, production and management of food related tasks. They develop knowledge of the sensory, physical, production and management of food and apply these in practical situations. Students learn more specialised skills and a higher level of food preparation to enable them to connect with further education, training and employment in areas that include nutrition, health, food and beverage manufacturing, hospitality and retail.